Portage Bay Cafe in Seattle's Roosevelt neighborhood is the original Portage Bay location. 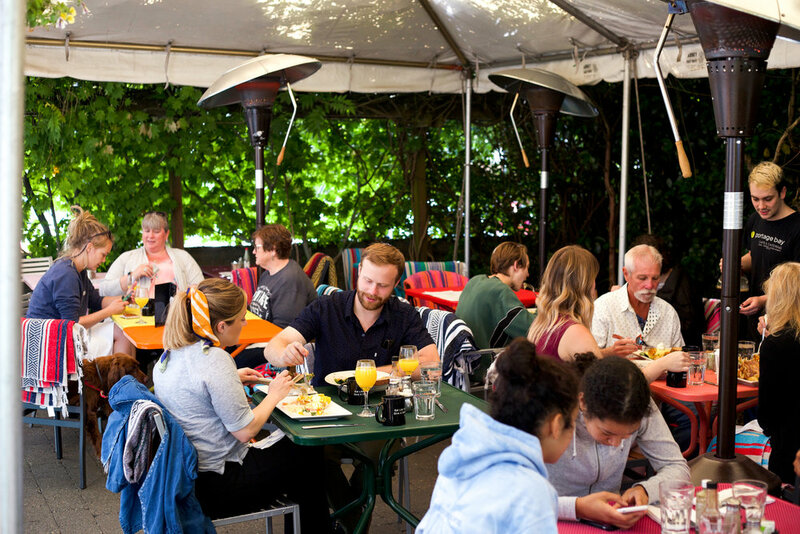 Bordering Seattle's University District, Portage Bay Roosevelt offers local, organic, sustainable breakfast and lunch 7 days per week. Reserve your table or place an order for delivery today! As you drive south on Roosevelt Way through Seattle's University District, you'll find Portage Bay Cafe's Roosevelt Location on your left attached to the University Inn. We have a parking lot shared with the hotel located directly behind the restaurant - there are two entrances on either side of Portage Bay Cafe (no registration or fee required). Additional parking may be tough to find, we recommend utilizing street parking which is free on Sundays!